This substation was necessary for locally transforming the high tension of 50 kV into 10. The complex consisted of a quartet of service houses with an entrance gate, and the substation itself: a service building, a hoisting tower for heavy objects and four high tension masts, only one of which remains. The building is in a cubist style allied to Dudok and the 'Hague School' and sports decorative sculpture and brickwork. 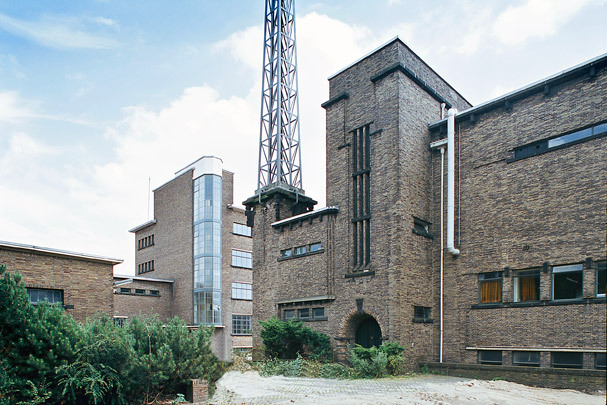 Fels was house architect to the PGEM (Gelderland Electricity Company) and was also responsible for the more functionalist of the KEMA company buildings west of Arnhem.